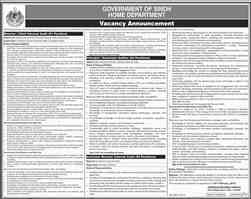 Search all Latest govt jobs in home department Sindh jobs 2019 and Sindh govt jobs on this page of ready.pk where you can find daily Today announced govt jobs in all cities and province of Pakistan. You can easily find every new vacancy published in this govt department for different positions like Principle, Assistant, Director and Principle and so on. Home Department is a Government Department working for the betterment of society. The main focus of this govt department is working and maintaining the law & order in society. It is also one of their agenda to make clear and security proof environment for the people of Pakistan and People of Sindh as a maximum. A long list is present in their goal and aims to fulfill for the province. 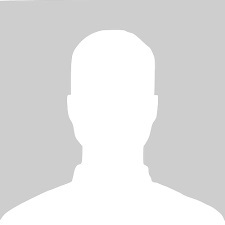 There are many government departments are associated with them like Police Department. Home Department is providing the assistance about Law for other Armed force and law enforcement organizations including Pakistan Rangers. So it can imagine that Home department Govt of Sindh is a large independent Govt Department where absolutely many employees are working as govt employees. 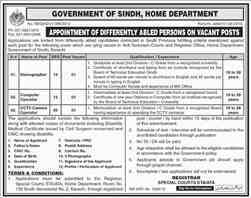 So if you want to see home department Sindh Karachi jobs 2019 then yes this is exactly the right place for you. 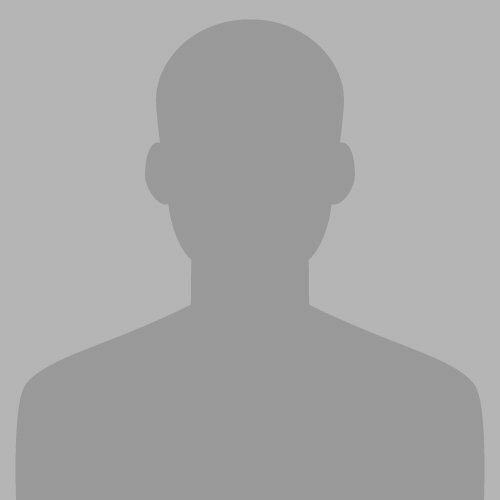 Because on this page below you can easily and directly see a complete list of advertisement for home department jobs 2019. By our system of Subscribing at ready, now you can easily view and download and get notification of home department Sindh notification. 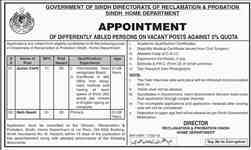 Check newly published officer arms home department Sindh, Sindh jobs from Newspapers jang, nawai e waqt, Dawn, The Nation, express, dunya, al mashriq, Aaj. All newspaper govt jobs 2019 can be seen here with full details about "How to apply" and how to download an application form. Stay connected with us if you want to see daily govt jobs in all cities of Pakistan including Lahore, Karachi, Multan Sialkot, Rawalpindi, Gujranwala, Sahiwal. Be ready to apply now, check and read completely eligibility criteria, age, qualification, Education requirement for the advertisement for assistant home department jobs. If you are looking for the official website for Govt Home Department Sindh then here it is. Here you can view the Home Department of Sindh earlier History. There are many govt jobs employment opportunities publish daily. What you should do is Apply in all jobs in which you are qualified by all matters of rules to apply. Check the last date of applying for form and registration because after that no form will be accepted or incomplete application will not proceed further. Don't hesitate in asking any query if you are facing any trouble then you can easily contact us on our social media channels like Facebook, Twitter, LinkedIn. You can also visit all other govt jobs in Sindh, Karachi 2019 with latest updates and advertisement in all govt departments present in Sindh. 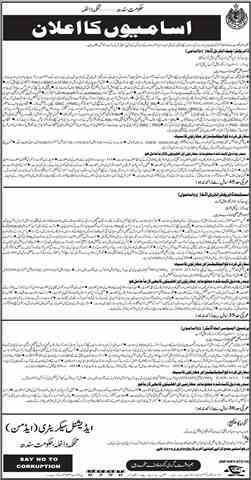 Check below jobs in Home Department Karachi currently mentioned jobs in Newspapers and site. Our website is Pakistan Fates growing site as Govt jobs portal for all jobs seekers. We have introduced a complete section for preparing Online Job Test Preparation for those initial Tets many companies take as initial recruitment test. Good Luck. Be ready for govt jobs Pakistan daily jobs. Have a good Day!